From my Instagram page. 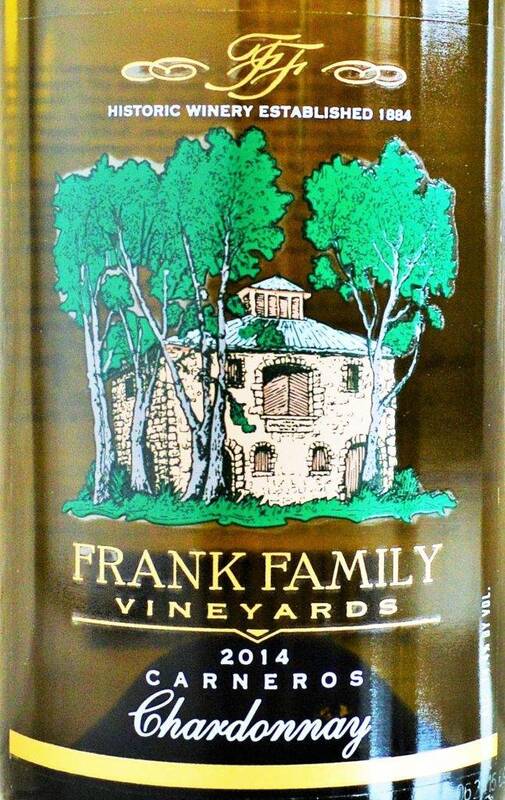 The Frank Family Chardonnay traveled with me all the way to Newport Beach! You can click the image to see more. So understandably all of this warmth has me reaching for chilled, crisp white wines far earlier than usual. I mean, this should be Cabernet Sauvignon prime-time for me! So I thought I would take this opportunity to point out some Chardonnays you can reliably count on in the coming months, as temperatures promise to rise alongside political tensions. Reliably Good Chardonnays You Can Actually Find, and Afford! 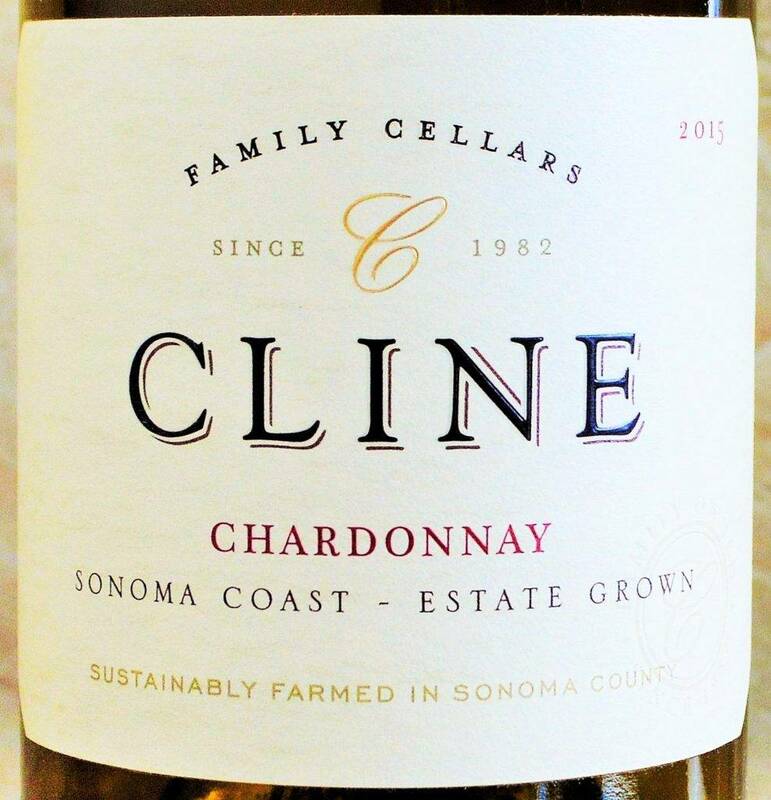 Cline Chardonnay Sonoma Coast 2015: Sourced from Cline Family Cellars’ Lazy C Estate Sonoma Coast Vineyard in the emerging Petaluma Gap region, this 100% Chardonnay is fermented in stainless steel before seeing six months in 40% new French oak. Pours a medium straw yellow. Aromas of apricot and green apple mingle alongside honey and lime citrus, with subtle subtle suggestions of grass and white flowers lingering in the background. In the mouth this medium to full-bodied effort boasts a spicy core of ripe apricot and apple flavors allied to a honeyed-lime sweetness that’s kept in check with just the right amount of zesty acidity. Finishes with solid length, plenty of lingering spice and traces of a wet stone minerality. A solid value for those looking for a full-flavored Chardonnay at an affordable price. 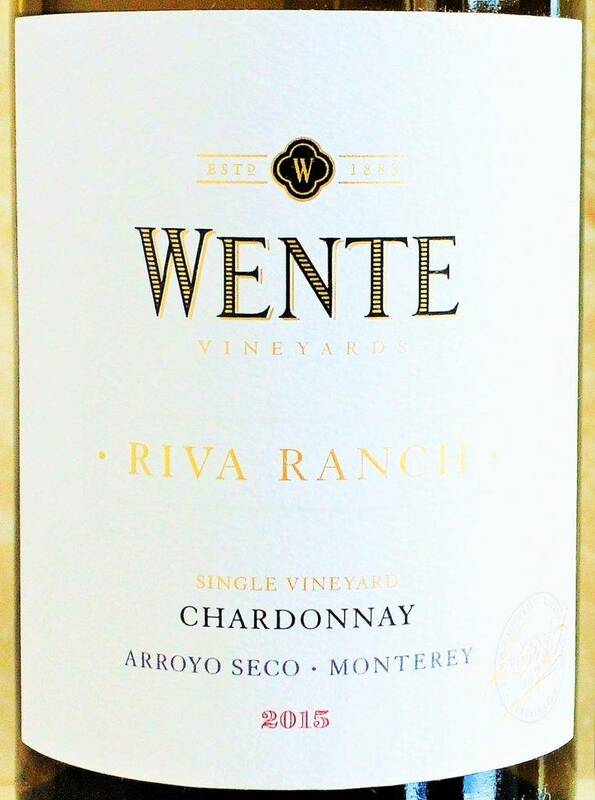 Wente Riva Ranch Chardonnay 2015: From “California’s First Family of Chardonnay” comes this single vineyard, estate grown offering sourced from the gravelly soils of the Riva Ranch Vineyard in Arroyo Seco, Monterey. Produced from 98% Chardonnay and 2% Gewürztraminer, 90% of the wine sees barrel fermentation in 60% new and 40% second use French and American oak. 10% is stainless fermented to preserve the vibrancy of the fruit. Pours a pale straw yellow. The bouquet is pure and clean, revealing bright aromas of pear and guava framed by a lemon chiffon and white flowers. The mouthfeel is clean and creamy revealing an interplay of guava, vanilla, butter and lemon chiffon flavors that build with solid persistence. Displays good depth of flavor without feeling at all heavy. Finishes long and clean with hints of subtle spice. 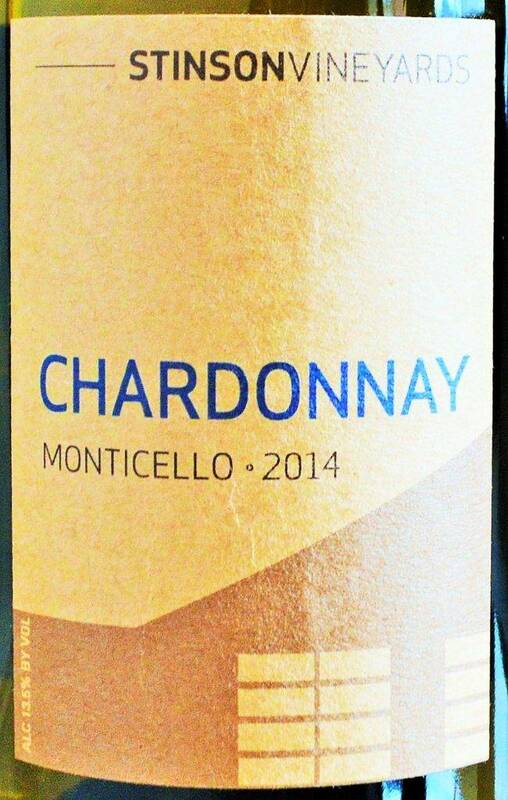 Stinson Vineyards Monticello Chardonnay 2014: Being that I am from the East Coast, I wanted to highlight a locally-produced Chardonnay that you can consistently count on: the Stinson Vineyards Chardonnay from Virginia’s Monticello AVA always manages to deliver the goods, and at a very reasonable price point. 100% Chardonnay sourced from the 50+ acre Mount Juliet Vineyards across from Stinson in White Hall, Virginia. It pours a medium yellow-gold hue. The bouquet is both bright and creamy, revealing vibrant green apple fruit laced with caramel and lemon zest along with subtle hints of tangerine peel and fennel. Medium to full-bodied in the mouth, with a bounty of ripe orchard fruit underscored by caramel and rich toffee flavors. Well-balanced with enough acidity to keep things lively, the dry finish lingers with hints of spice and fennel nuances. 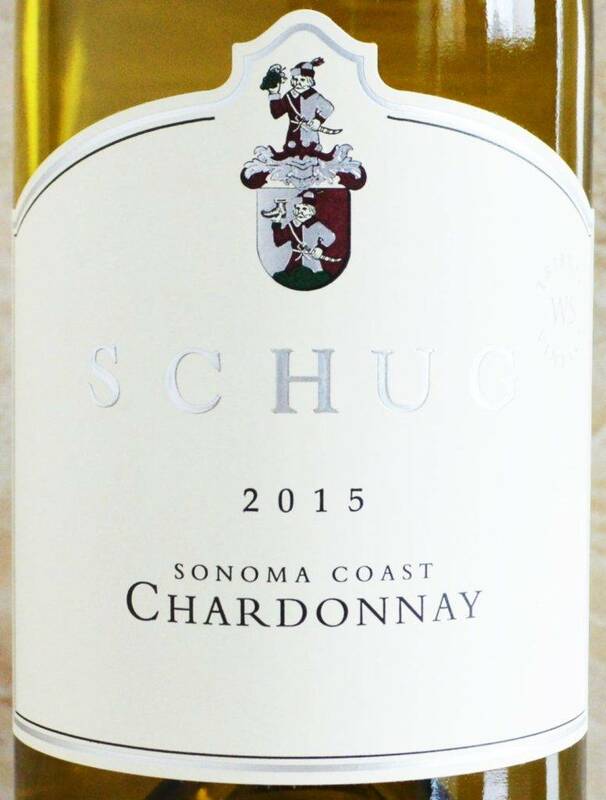 Schug Chardonnay Sonoma Coast 2015: Sourced from vineyard sites throughout the cooler Sonoma Coast appellation and produced with minimal use of new oak in an effort to keep Chardonnay’s natural brightness intact. Pours a medium-gold color. Pure, bright aromas of spiced apple and pear are laced with hints of fennel and lemon curd. Medium to full-bodied in the mouth with a wave of spicy orchard fruit perfectly balanced by zesty acidity. Benefiting from a lovely creamy texture, the Schug Chardonnay Sonoma Coast is an excellent option for those Chardonnay drinkers seeking plenty of flavor without the interference of heavy oak. 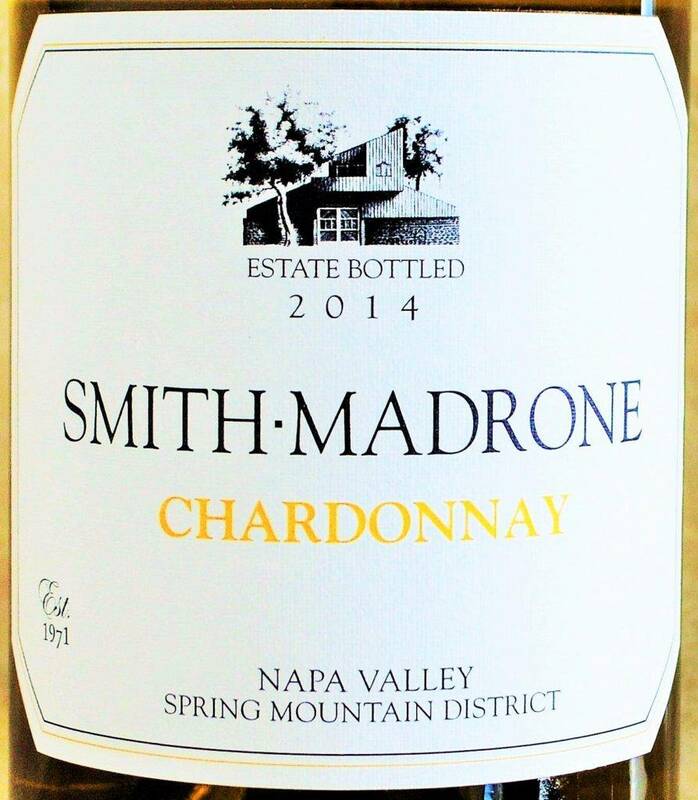 Smith-Madrone Chardonnay Napa Valley 2014: From one of my favorite family-owned and operated boutique producers perched high atop Spring Mountain, the wines of Smith-Madrone always have soul and sense of place, at refreshingly accessible price points. Produced from 100% estate-grown Chardonnay from hillside vineyards ranging in elevation from 1,400 to 1,900 feet, it is barrel-fermented for nine months in new French oak. It pours a light straw yellow in the glass. Fragrant aromas of green pear and wet stone mingle alongside white flowers, buttercream and tangerine oil. In the mouth, the juicy core of crisp, bright fruit flavors are carried alongside an undercurrent of stony minerality. Medium-bodied, it benefits from lively acidity and finishes long and clean, with lingering hints of buttercream, tangerine oil and spices. A gorgeous, impeccably-balanced example of Spring Mountain Chardonnay that effortlessly punches above its weight. 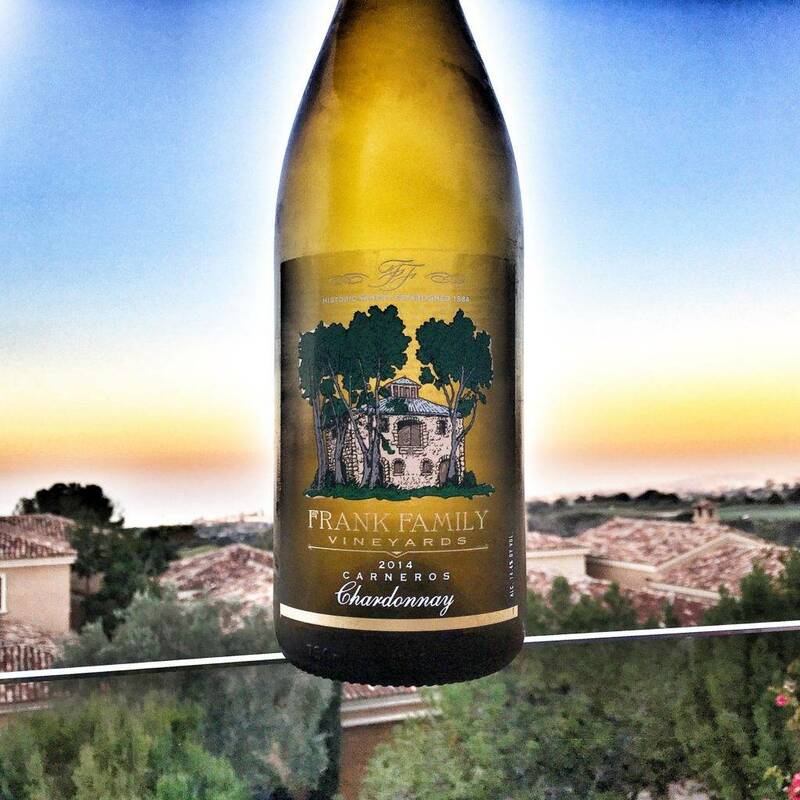 Frank Family Vineyards Chardonnay Carneros 2014: 100% Carneros Chardonnay (64% Napa, 36% Sonoma) with Frank Family’s Napa-Carneros Lewis Vineyard providing the foundation for this wine. Barrel fermented in 34% new, 33% once and 33% twice-filled French oak barrels for 9 months. Pours a medium straw-yellow. The bouquet is spicy and floral, revealing spiced pear and apple nuances aromas against a backdrop of butterscotch, hazelnut and tangerine oil. In the mouth, this medium to full-bodied effort exhibits an alluring texture and boasts a juicy core of spiced pear and exotic lychee fruit flavors that builds on the palate with solid persistence. The creamy, lithe texture, and depth of flavor make this flavorful Chardonnay tough to resist. A big personality at a modest price. 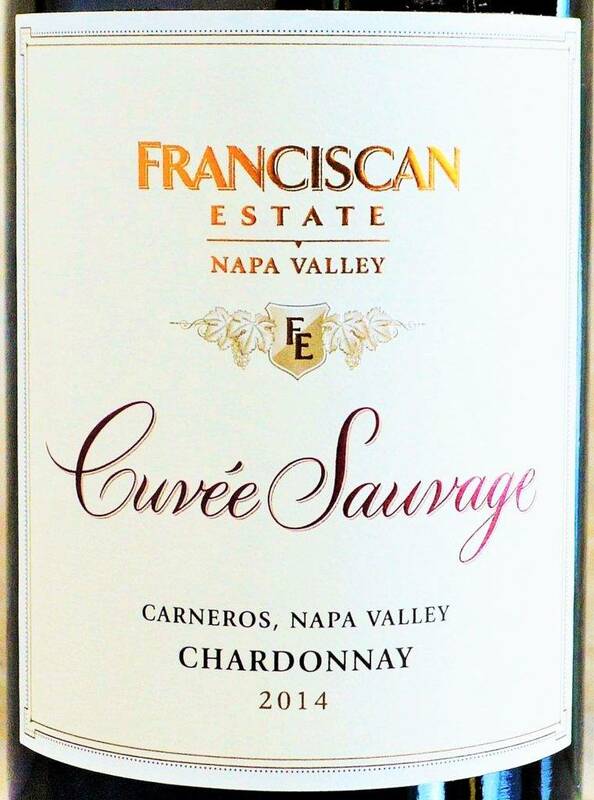 Franciscan Estate Cuvée Sauvage Chardonnay Carneros 2014: Last, but most certainly not least is one of my perennial favorite Chardonnays from Franciscan Estate, who in 1987 became the first winery in Napa Valley to institute the traditionally Burgundian practice of fermenting their Chardonnay entirely with wild yeasts (sauvage translates to wild in French). 100% Carneros Chardonnay, barrel fermented and aged in 100% new French oak for 14th months. Pours a medium straw-yellow. Vivid aromas of green pear and white flowers are framed by a foundation of buttercream and lemon zest. In the mouth this full-bodied effort boasts a generous, spicy core of crème brûlée, apple and pear fruit laced with lemon curd, hazelnut and vanilla bean. The elegant finish lingers with surprising persistence. While there’s plenty of oak here, it’s beautifully integrated and impeccably balanced with just the right amount of acidity. This opulent Chardonnay is impressive for how it deftly marries depth of flavor with such a lithe, seamless texture. **Wines were submitted as media samples for purposes of review. 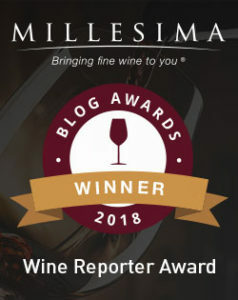 No other consideration was received for publishing this article and no consideration will be received if you purchase these wines. This entry was posted in Between $10 and $15 | Reviewed, Between $15 and $19.99 | Reviewed, Between $20 and $29.99 | Reviewed, Between $30 and $49.99 | Reviewed, California Wines - Reviewed, Still White Wines, Top Wine Values, Under $100, Under $15, Under $20, Under $250, Under $30, Under $50, Under $75 and tagged Best Chardonnay under $20, Best Chardonnay Under $40, Cline Chardonnay Sonoma Coast 2015 Price, Cline Chardonnay Sonoma Coast 2015 Rating, Cline Chardonnay Sonoma Coast 2015 Score, Franciscan Estate Cuvée Sauvage Chardonnay Carneros 2014 Price, Franciscan Estate Cuvée Sauvage Chardonnay Carneros 2014 Rating, Franciscan Estate Cuvée Sauvage Chardonnay Carneros 2014 Review, Frank Family Vineyards Chardonnay Carneros 2014 Price, Frank Family Vineyards Chardonnay Carneros 2014 Rating, Frank Family Vineyards Chardonnay Carneros 2014 Review, Shug Chardonnay Sonoma Coast 2015 Price, Shug Chardonnay Sonoma Coast 2015 Rating, Shug Chardonnay Sonoma Coast 2015 Review, Smith-Madrone Chardonnay Napa Valley 2014 Price, Smith-Madrone Chardonnay Napa Valley 2014 Rating, Smith-Madrone Chardonnay Napa Valley 2014 Review, Stinson Vineyards Monticello Chardonnay 2014 Price, Stinson Vineyards Monticello Chardonnay 2014 Rating, Stinson Vineyards Monticello Chardonnay 2014 Review, Wente Riva Ranch Chardonnay 2015 Price, Wente Riva Ranch Chardonnay 2015 Rating, Wente Riva Ranch Chardonnay 2015 Review on March 22, 2017 by The Fermented Fruit. Excellent choices and brilliant descriptions—Bravo! I’ve already tried a couple of these – spring comes early Texas 🙂 But thanks for the suggestions – I will find the others and give them a try too!